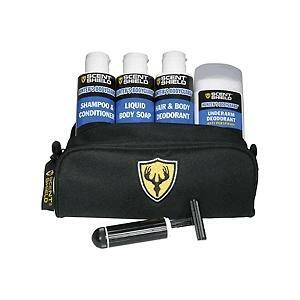 Micro version shower kit includes: 4oz shampoo & conditioner, 4oz liquid body soap, 4oz hair & body deodorant, and a twist-up razor that takes Schick and Gillette replacement blades. 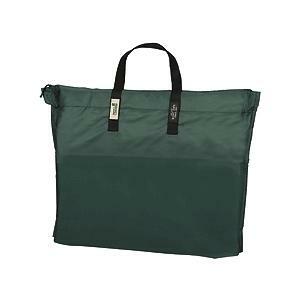 This bag has the same excellent construction as the Deluxe Travel Bag, with the addition of interior storage pockets. 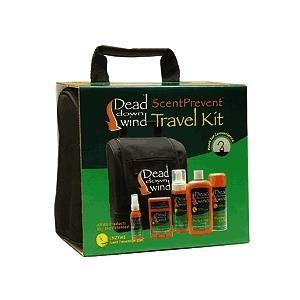 Includes two fresh earth scent wafers and zip lock barrier bag for storage of small items.